Derived from plants and offering life-enhancing practical benefits, the advantages of essential oils become apparent. These oils are a by-product of the plant’s metabolism and thought to be their immune system. They are extracted by steam distillation, which is the purest way, from various parts of the plant such as the petals, stems, seeds, leaves, bark and roots or by expression from citrus peels. These essential oils, contrary to the word describing them do not have an oily feel to it. Most are clear although some are diluted with carrier oil such as sweet almond, apricot kernel or grape seed. Aromatherapy is the use of pure essential oils to improve physical and mental well being. It is a process of diffusing pure essential oils which is then absorbed through the skin and through inhalation. Smell has a profound effect on how we react physically, emotionally, and mentally to our surroundings. Many every day scents remind us of the different seasons, a location or situation and happy times. Thus essential oils may also have an effect on our physical, mental and emotional well-being. The inhaling of these oils can also influence the release of brain chemicals such as serotonin. Every oil is unique with various ways of applying. They can be used in an electric or candle-type diffuser, mixed with water to use as a spray, blended into carrier oil for use on the skin, or added to soaps, lotions, and other body care products. Help for stress, depression and fatigue can be found in geraniums, bergamot and lavender. Eucalyptus stimulates and along with oregano is a good antiseptic and antihistamine. Neroli from orange blossoms is good for insomnia and rosemary is a good physical and mental stimulant as well as for relaxing at the end of a long day. After inhalation or absorption through the skin they efficiently leave the body through exhaling and perspiration in about four hours. Therefore, there is no residual build-up or any side effects that can often be associated with pharmaceuticals. How Are Essential Oils Stored? Care must be exercised in their storage. Keep them in dark, air-tight, glass bottles away from exposure to heat or extreme temperature fluctuations. Handle with great respect and responsibility because these are concentrated oils. Keep them out of the reach of children. Organic oils are extracted or distilled from plants not treated with pesticides, herbicides, irradiation, or any other type of unnatural treatment. Non-organic oils may contain toxic and unnatural substances that can be harmful or cause allergic reactions. You will pay more for oils distilled from organic plants because of the higher cost of growing with organic means. It is important to check out the information provided by the merchants for their products. Ultimately the decision is yours and based on your research you can find the blend best suited to your needs. Important oils can often be bought as blends. However, there is no control over the blend when not mixing it yourself. 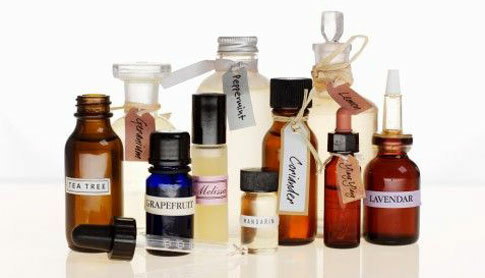 Essentially the advantages of making your own are the savings realized by not buying every essential oil individually. However there may be a problem reliably doing your own blending. Aromatherapy is widely thought to have originated in Egypt. Medical writings dating around 1555 BC give remedies for many kinds of illnesses and methods of application that are used in aromatherapy and herbal medicine today. It is a believed that the ancient Chinese civilizations were using some form of aromatherapy at the same time as the Egyptians. Going back to about 2700 B.C an herbal book written by Shen Nung is the oldest surviving medical book in China. It contains information on over 300 plants. The Egyptians extracted oils from aromatic plants and incense was one of the earliest ways of using aromatics. Frankincense was burned at sunrise as an offering to the sun god, Ra and myrrh was offered to the moon. Many fragrant oils were used after bathing and for massages. The Greeks also used aromatic oils for medicine and cosmetics. Taking much of their medical knowledge from the Greeks, Rome was known as the bathing and massage capital of the world and they went on to use and improve aromatherapy. Trade routes began opening up to East India and Arabia so new products were being imported to Rome. It took several years to perfect the process, but the physician Avicenna who lived from A.D 980 to A.D. 1037 is thought to have first used the distillation process to obtain the rose essence. About that same time, the Arabs discovered how to distill alcohol making it possible to produce perfumes without a heavy oily base. The traditional Indian system of medicine known as Ayurveda – using aromatic massage – has been used for more than 3000 years. The invasion of South America by the conquistador’s brought about the discovery of more medicinal plants and aromatics as the Aztecs were well known for their plant remedies. The Spanish were amazed at the number of medicinal plants found in Montezuma’s botanical gardens. The North American Indians were also using these oils and produced their own herbal remedies. About the 19th century scientists in Europe and Great Britain began their research on the effects of essential oils on bacteria in humans. Rene Maurice Gattefosse, a French chemist, began researching the healing powers of essential oilsafter burning his hand and immersing it in lavender oil. He was impressed by how quickly the burn healed. In 1937 he wrote a book about the anti-microbial effects of the oils and also coined the word ‘aromatherapy’. French medical doctor, Jean Valnet, biochemist Margaret Maury, and Madame Micheline Arcier, who has been practising essential oils and aromatherapy for forty years in London, combined their techniques and created a form of aromatherapy now used all over the world. Do not buy anything in a clear glass bottle as the light can damage the properties; not in plastic which can cause contamination; not with a rubber dropper which can dissolve and contaminate. And finally, look for a vendor who tests oils and will supply samples.